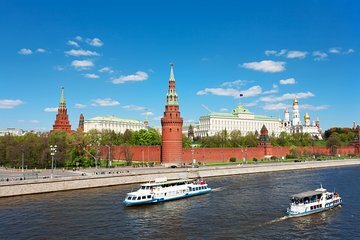 Enjoy a relaxed way to see Moscow’s sights when you sign up for a cruise along the Moskva River. Book tickets in advance, and pick from multiple daily departure times to best suit your schedule. Then, set sail. You’ll wend your way past a number of the city’s highlights, from Gorky Park and St. Basil’s Cathedral to the Moscow Kremlin and Novospassky Monastery. As you go, learn the stories behind the sights from your English-language audio guide.